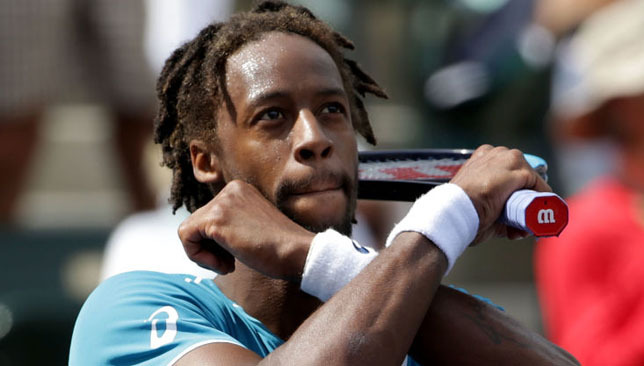 INDIAN WELLS — Gael Monfils says celebrating his victories by doing Black Panther’s ‘Wakanda forever’ salute is his way of showing support to his community and the blockbuster film’s message. Monfils did the salute after his 6-7(5), 7-6(3), 7-5 victory over 15th-seeded John Isner in the Indian Wells second round on Sunday, as well as his opening round win over Matthew Ebden on Thursday. “It’s definitely about that. I think that movie is great, it’s great for the community, for our community, it means quite a lot. It’s not just a sign. It’s everything. It’s everything going on and definitely it’s a shout-out saying that I’m supporting the Black Panther’s community,” the Frenchman told reporters in Indian Wells on Sunday. “It’s a lot going on I think. It’s battling politics, everything you know for our community. I’m following, I have a close friend in France, he is actually really involved and every morning I read every post he does, every interview, his name is Claudy Siar and he’s from Guadeloupe. The Frenchman is not the only player to celebrate a match win by performing the salute. American 22-year-old Sachia Vickery also did it after she upset Garbine Muguruza in the second round. Football players Paul Pogba and Jesse Lingard have also done it during a Manchester United game. Monfils is one of the more popular tennis players on tour, with his incredible athleticism, flamboyant playing style, and charisma always shining through on the court. “It’s a blessing, it’s luck, it’s something that means a lot to me,” he said when asked about his adoring fans. The 31-year-old Monfils, who was born in Paris and whose father is from Guadeloupe, believes Indian Wells is a unique tournament that allows fans to be close to the players, and joked that the official hotel here is “80 per cent fans, 20 per cent players”. He describes his experiences with fans in general as a mixed bag of positive and negative, noting the racism he is often subjected to. “I have good and bad. Bad because basically every match I receive some racist comment and you can cross some racist person,” he explains. Monfils was ranked as high as No. 6 in the world less than two years ago but is currently down to 42. He next faces his countryman Pierre-Hugues Herbert in the third round. Asked if his level of tennis is where he wants it to be at the moment, Monfils said: “It’s maybe 34 places away from where I want to be, so it’s very far. I think I can play better. I’m just fighting, I’m hanging around, but I’m not playing great tennis. 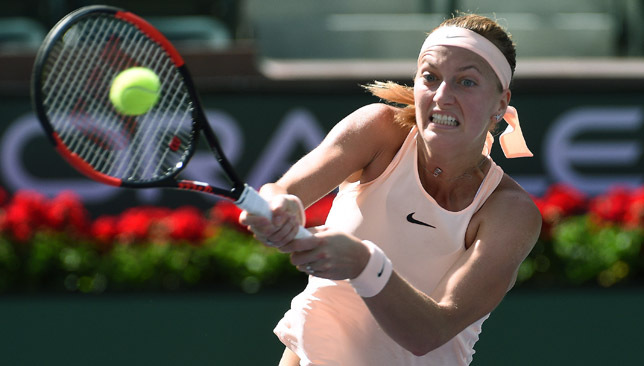 Petra Kvitova’s winning streak came to an end as the Czech suffered a 6-2, 6-4 loss to 16-year-old Amanda Anisimova in the Indian Wells third round on Sunday. Kvitova entered the contest having won her 14 previous consecutive matches, a stretch that included two title runs in St. Petersburg and Doha last month and one that matched the longest winning streak of her career. But the world No. 9 was shocked by her American teenage opponent, who is ranked No. 149 in the world and is the youngest player to reach the fourth round at Indian Wells since Viktoriya Kutuzova in 2005. “It feels so crazy. I’m shaking right now. This is the biggest stage I’ve ever played on against the strongest player I’ve ever faced,” Anisimova said on court after her triumph. Anisimova, who has got missiles for groundstrokes on both the forehand and backhand sides, raced to a one-set lead before Kvitova halted her progress and went up a break early in the second. But the New Jersey-native pegged Kvitova back, drawing level at 3-all then broke for a 5-3 lead. Serving for the match, Anisimova was broken by a battling Kvitova, who stepped into the court and upped her aggression. But that only delayed the inevitable as Kvitova quickly fell behind 0-40, handing her opponent three match points and Anisimova converted on her first opportunity on a netted backhand from the Czech. Serena Williams is barely two matches into her comeback from maternity leave but she already has to face her sister Venus in the Indian Wells third round on Monday. The 23-time Grand Slam champion posted a second victory in as many matches in her first tournament since the 2017 Australian Open, overcoming a stern challenge from Dutch No. 29 seed Kiki Bertens 7-6 (5), 7-5 in the second round on Saturday. 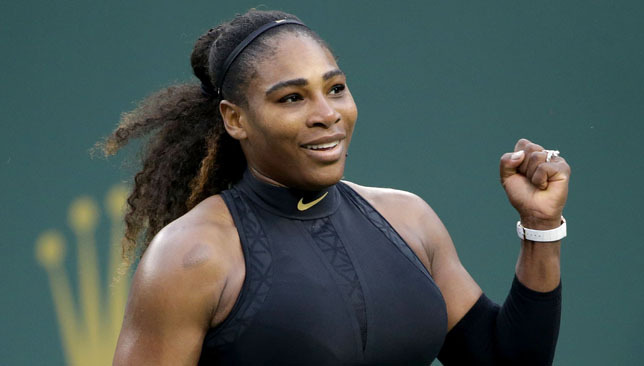 A champion at Indian Wells in 1999 and 2000, Serena is bidding to become the first woman to win the trophy here three times but the 36-year-old’s thoughts are far from that at the moment as she attempts to build back her stamina and form following a 13-month absence. “I have a long way to go. I have such a long way to go,” Serena said after her one-hour 52-minute win over Bertens. The Williams sisters will face off for a 29th time on tour and for the first time at Indian Wells. The meeting comes 17 years after they were supposed to clash in the semi-finals of the 2001 edition but Venus withdrew with tendinitis, giving Serena a walkover into the final. 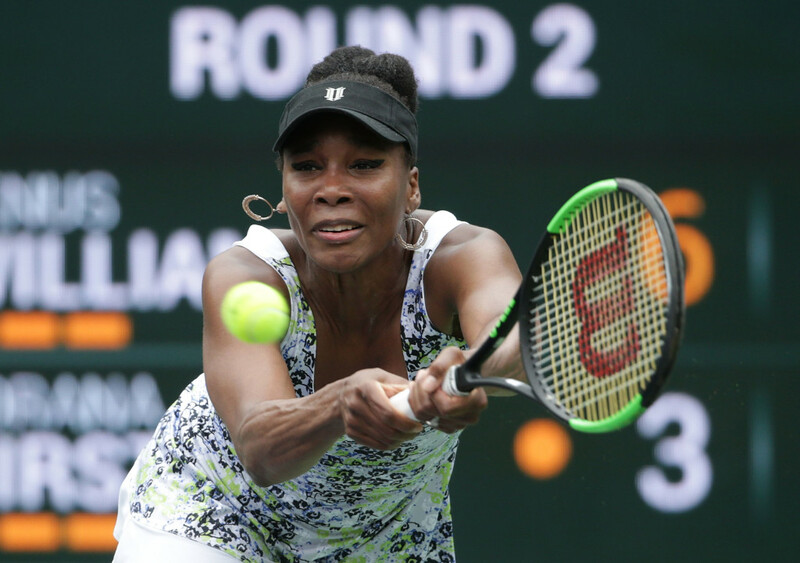 The aftermath of that day has been recounted countless times, and the Williams sisters, who suffered abuse from the crowd due to Venus’ withdrawal and received accusations that their father fixed their matches, boycotted Indian Wells from 2002 until they returned to the event in 2015. It is close to two decades later and the Williamses will finally square off at the Indian Wells Tennis Garden. “I honestly never thought about it,” said Serena about the fact the match against Venus never happened until now. Venus booked her place in the third round with a 6-3, 6-4 success over Romanian Sorana Cirstea. The older Williams sister, seeded N0. 8 this week, was in the stands for Serena’s opening round win over Zarina Diyas on Thursday and was impressed by what she saw. “She looked like she never lost a step, really, and was controlling the match. Her opponent played really, really, really well, to be honest. Probably produced maybe the best tennis of her career. For Serena to win against someone that inspired and free is a great, great way to come back,” said the 37-year-old Venus. Serena admits it feels like it’s too soon to play someone of Venus’ calibre in just her third match back but the ex-world No. 1 is hoping she’ll be ready for it. Serena is playing under a protected ranking of 22 and is unseeded in a tournament for the first time since Cincinnati in 2011. “I have to play a seed regardless, sooner than later most times for the next couple of tournaments. So I have to be ready, you know. Whether it’s Venus or anyone else, it’s going to be someone,” said Serena. Serena, who delivered her first child, Olympia, last September, said she “almost cried” before her first round last Thursday because she was missing her daughter. She handled that better in her second match on Saturday.